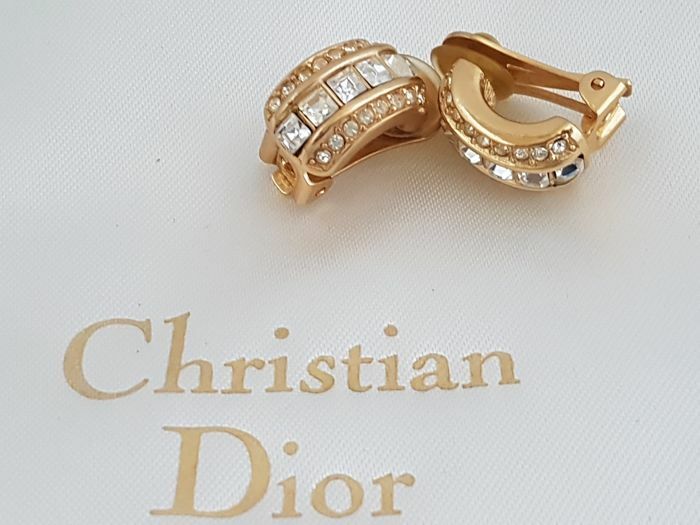 This timeless Dior gold tone hope earrings are real stunning and eye catching, wonderful in combination with a little black dress! 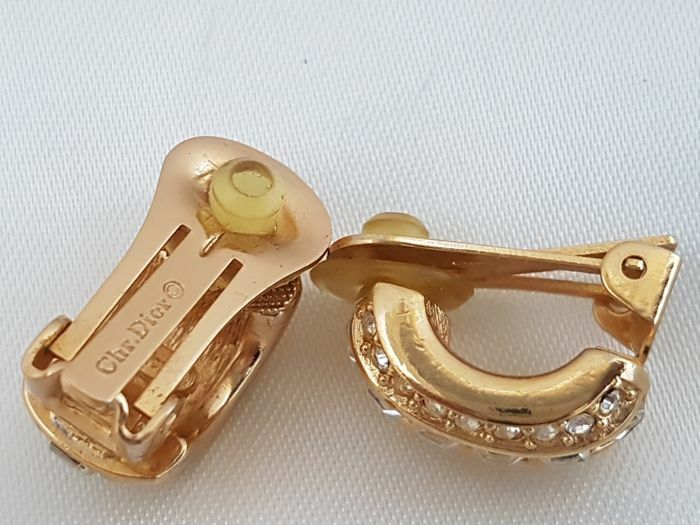 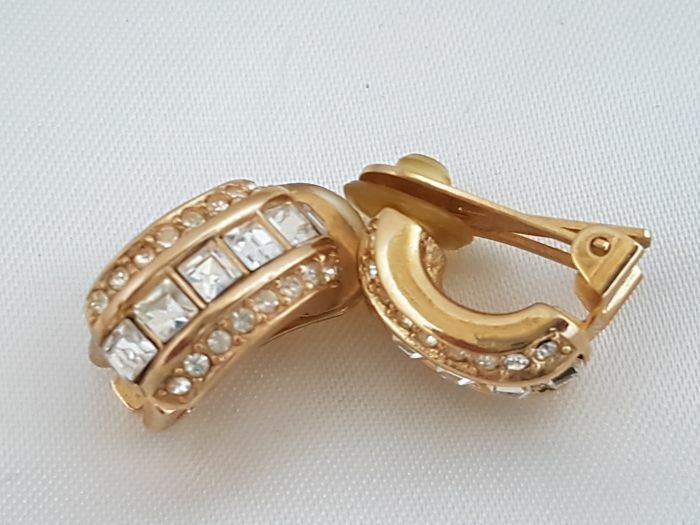 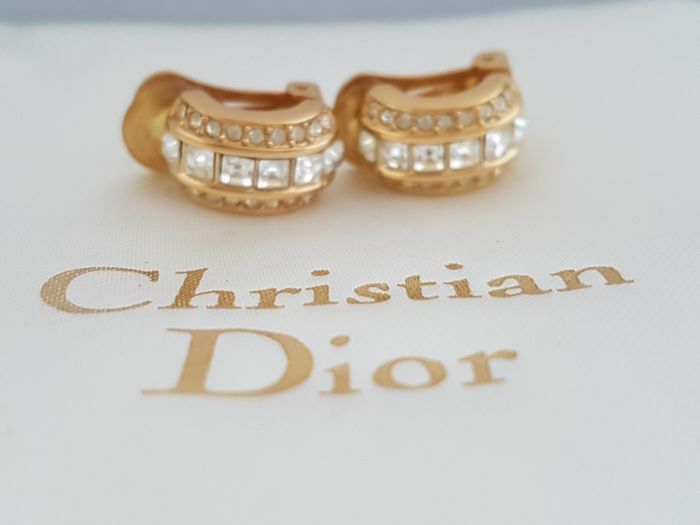 Vintage Christian Dior gold tone earrings are set with bright rhinestones, round shaped and baquette shaped. 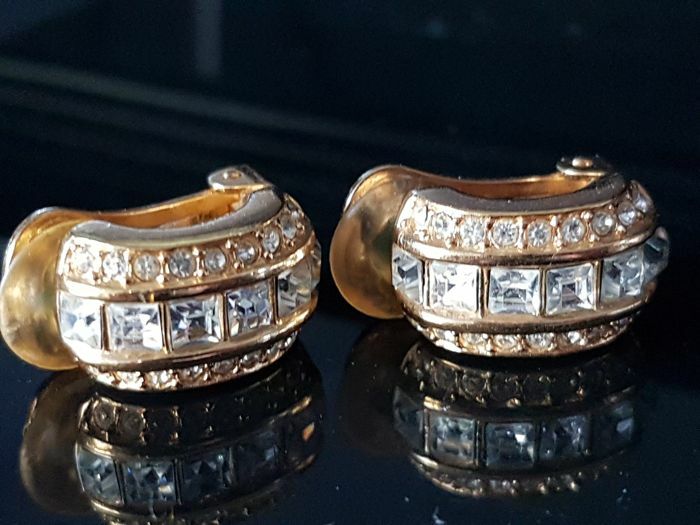 Puoi ritirare questo lotto direttamente presso il venditore: Rijswijk, Paesi Bassi.